﻿ Who We Are | Levy’s Machine Works Ltd.
We pride ourselves in fine workmanship, high quality and attention to detail. 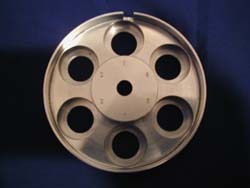 We have the size and capacity to accommodate everything from prototype machining through to production runs, and specialize in producing precision machined components, including high complexity, tight tolerance and exotic materials such as austenitic stainless steel and Beryllium Copper. 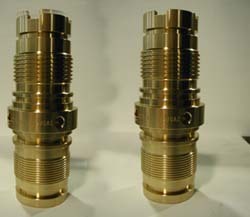 Levy’s is focused on providing a high level of customer service and always appreciates an opportunity to quote on your machining requirements. 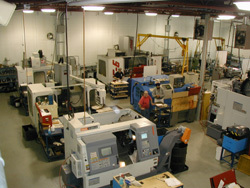 Since 1980, Levy’s has been working to provide first-class machining services. We have a long-standing reputation for producing high-quality components that is built on a combination of highly experienced people and advanced technology – the two primary elements of our business. 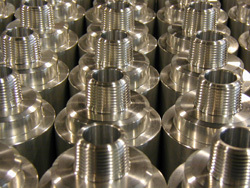 At Levy’s, we are very proud of our team of skilled machinists and support staff. They are all highly experienced, well-trained, and come with a variety of backgrounds. Our team has a record of achieving success on projects often described as being difficult, if not, impossible, to complete. Levy’s pays special attention to equipment. Having some of the most modern and versatile machinery allows us to be competitive and precise with our customers’ needs. We are constantly updating and improving our equipment to provide the best possible service. We have combined versatility and technology to produce excellent results, from the design stage to the final product. Even so, we have a culture of continual improvement that enables us to meet and often exceed the challenges provided by our customers. Levy’s evolution is driven by its customers and their requirement.